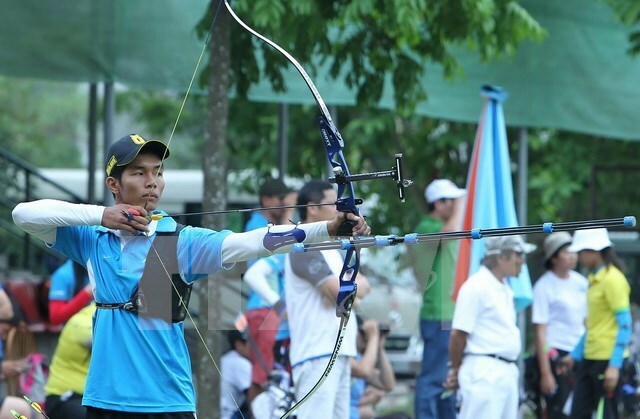 HA NOI (VNS) — Ha Noi triumphed at the National Archery Cup which wrapped up at the Ha Noi-based National Sports Training Centre yesterday. The team brought home 21 golds, 14 silvers and 13 bronzes. Tra Vinh came to second with four golds, two silvers and one bronze. Soc Trang went to third with two golds, three silvers and two bronzes. The six-day event attracted the participation of 93 athletes from 14 provinces and cities, competing in men's and women's singles, mixed doubles and team. It saw six national records broken.